The Annexation of Guanacaste Day, celebrated on July 25, commemorates the annexation of the province of Guanacaste from Nicaragua in 1824 and celebrates Costa Rica’s core value of democracy. The meaning of the name of the celebration Annexation of Guanacaste Day is self-explanatory. This celebration occurs and originated in Liberia, which is the capital of the Guanacaste province. For the year of 1800 was a province that belong to Spain , and Cortes of Cadiz in Spain created the Province of Nicaragua and Costa Rica, which in 1820 was divided into seven parts: Costa Rica, El Realejo, Granada, León, Nicaragua (Rivas), El Partido de Nicoya and Nueva Segovia. Prior to 1824, Guanacaste region was named El Partido de Nicoya ; however, in 1824 Guanacaste asked to be annexed to Costa Rica rather than remain part of strife-torn Nicaragua . At that time, Partido de Nicoya had three populations: Nicoya, indigenous town, seat of the government and the towns of Santa Cruz and Guanacaste (Liberia), where lived spaniards and mestizos. Geographically, Nicoya and Santa Cruz had strong economic ties with Costa Rica and the rising port of Puntarenas, in Guanacaste (Liberia) had strong ties to Nicaragua (Rivas) (The region west of the river Tempisque, Bagaces villages and Canas, belonged to Costa Rica from the sixteenth century and were never part of the Partido de Nicoya). In early July 1824, while Nicaragua was plunged into civil war whose effects never reached to Nicoya, three towns of the Partido declined an invitation to them by the government of Costa Rica to join that state. However, Nicoya and Santa Cruz changed their minds, and July 25, 1824 decided to annex to Costa Rica, as recorded in the minutes of the City of Nicoya signed on that date by the political chief Junior Manuel Briceño and numerous neighbors. Then in 1826 Liberia was added to Costa rica. The fact that Nicaragua was active in many civil wars at the time increased Guanacaste’s desire to be annexed to Costa Rica . The Central American Federation approved the annexation and thus Guanacaste became part of Costa Rica . Guanacastans take great pride in being a part of Costa Rica and claim that in 1824, they joined Costa Rica by choice. Demonstrating their pride Guanacastans possess the slogan, De la Patria por Nuestro Voluntad. This phrase means part of the country by our own choice in Spanish. The fact that Guanacastans emphasize that they became a part of Costa Rica by choice, shows that democracy is valued. Therefore, Guanacaste Day is celebrated because Costa Rica highly values democratic ideals. 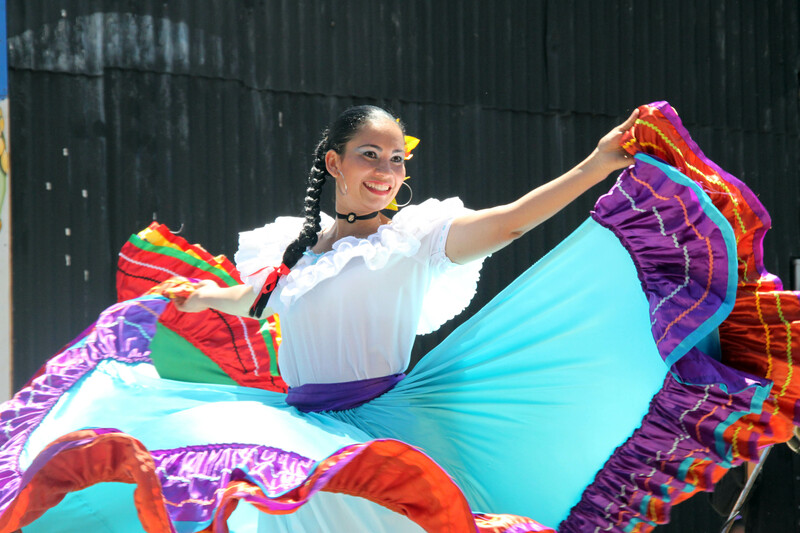 The performance aspects of the celebration of Guanacaste Day consist of parades, folk dances and the playing of musical instruments, and bullfights.The parades mainly involve the children of the province. In the week leading up to July 25, all the schools, primary and secondary, have parades to the park at the center of town. The fact that children of this province are introduced to this celebration at a very young age demonstrates that this celebration is highly valued by Costa Rican society. A biggest Costa Rican fiesta called Expo Liberia is highlighted by rodeos, fireworks, Cimarronas,folkloric dances and music, parades, cattle shows, bullfights, concerts, firecrackers (bombetas) and more traditions. This year will be 11 days from July 20th to July 31st, full of Local spirit, culture expression and music. Everybody is open invited to enjoy this celebration, many people from all Guanacaste and Costa Rica are ready to wear theirs cowboy boost and dance whith Marimba music; traditional music typically played by an elderly quartet on an old xylophone, and watching costumed girls performing the Punto Guanacasteco, the region’s folkloric dance that has become the national dance, the highlights of the Dia de Guanacaste lie firmly in the region’s ranching background. Riding a horse in a parade with the heat of noon will be a great experience. Each day of the Expo, the entertainment kicks off with a tope, a horse parade full of several criollo horses and sabaneros (Costa Rican’s cowboys) dressing their finest steeds, showing off high-stepping staccato footwork as they clippity-clop all the way through town holding a cool beer or local guaro to avoid the heat . Try to be sober, the heat will kill , don’t forget your Hat. One of my favorite traditions in the celebratios is the Diana (live traditional music played at dawn in the streets) every day at 5:00 am. Also You should not miss the traditional bullfigtins called Toros a la Tica or Corridas. No Fighting but doesn’t mean that you will not be hurt. This activity will take a place in the arenas of the Expo, and it is complety different from the blood sport you find in Mexico and Spain,there are no profressional toreros. All the bullfighters are “improvisados” (amateurs) who run into the bull ring to taunt the bull with their jeers, jests, hands, etc., and then run like hell to avoid being horned by the bull. Next Next post: August 2nd , Virgin of Los Angeles Day in Costa Rica.